Ulster Weavers Baking Tea Cosy. 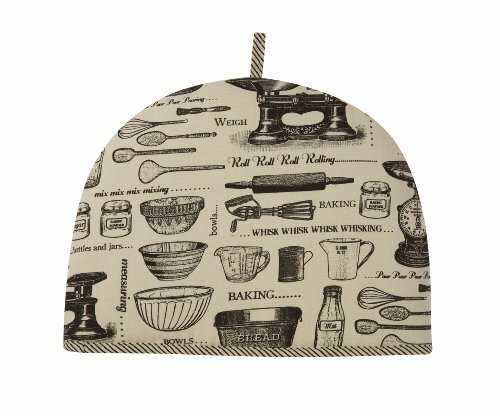 Depicting images of traditional bakeware items onto an unbleached 100-percent cotton cream base, this tea cosy is practical as well as looking good in your kitchen when not in use. A polywadding filling keeps your tea warm. If you have any questions about this product by Ulster Weavers, contact us by completing and submitting the form below. If you are looking for a specif part number, please include it with your message.